One of the top cryptocurrencies, EOS is always in the limelight. Famous EOS supporters make unrealistic predictions and put it on a pedestal, but traders have their own opinion. Let’s find out what amateur and professional analysts from tradingview think about the nearest future of EOS coin. This prediction is based on the RSI index that is at 47, and the 21-day price history showing a dynamic resistance. The guys from ForecastCity are sure that we should expect the beginning of an uptrend. However, there’s a possibility of EOS going into a support zone (from $2,2 to $1,55), so it’s a perfect time for traders to opt for short-term gains. So, how to use their prediction? When the price goes in the ‘Buy Zone’, e.g. starts forming reversal patterns, such as "Bullish Engulfing", "Hammer" or "Valley". The price goes in ‘Buy Zone’, but there are no reversal patterns. 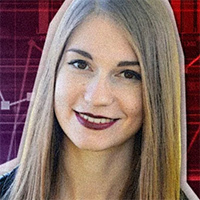 According to this forecast, EOS price can ascend to $4.35 in the nearest time, and then go up to $6 or even higher. Having started watching EOS since the end of 2018, this user applies an analysis based on Fibonacci and distance instead of price levels. Recently, EOS has been through bullish impulses. What should we expect? Potential target of the second arm is the same percentual loss of the first arm (80% over 114 days). Target ca. 1.20 dollars for 1 EOS on the 1st of March. Channel resistance is formed by ATH. The base starts from ATL. Thus, if EOS goes to 1.20 and starts making a reverse movement, we might enjoy a 500% gain during 45 days! According to Coinlife, we should keep an eye out for EOS. In March-May, it is expected to go to the support zone and fall to $0.8-1.2 – that will be the time for accumulation. So, probably, we should wait for some time and buy EOS in the spring while it’s cheap. There’s a chance that EOS will start gaining value in summer 2019. It’s worth mentioning that the vast majority of EOS analysts on TradingView agree that it should reach the bottom soon, and the lowest low is about $1.5-1.2. Is it bad news? No, if you can wait. EOS is a strong cryptocurrency with large potential, it just needs time to fulfill it as many other digital tokens. So waiting a few months and investing in the Buy Zone might be a very wise decision.